We’re available 24/7 for your urgent medical needs. CMMS offers a range of affordable payment options for optimum care. Have you recently been admitted to CMMC? If YES, we would encourage you to sign up for our patient portal. The patient portal documents your discharge medications, lab and other testing results. Log onto your patient portal icon below and follow the registration steps. You must look at your chart under the my health profile-documents-open your chart in your personal portal account OR feel free to drop in during business hours of 8am-4pm and we will get you enrolled. Read our Non-Discrimination Policy by clicking here. 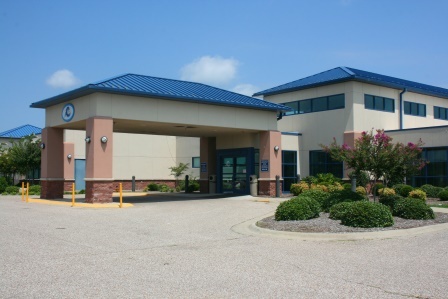 Chicot Memorial Medical Center in Lake Village, Arkansas is a critical access facility that uses state-of-the-art procedures and equipment to care for our patients. Our hospital offers extensive medical services and programs, from a 24/7 emergency room to Women's Health services to home health care. We also have an onsite laboratory and specialized outpatient clinics, including cardiology and urology. At Chicot Memorial Medical Center, we aim to provide top-notch, financially affordable healthcare to everyone in our community. We offer our patients satisfaction found only in a small hospital environment and have quality ratings well above the state average. To make an appointment with our outpatient clinics call (870) 265-9395 or to get more information on the healthcare services we provide, call Chicot Memorial Medical Center today at (870) 265-9200. To view your Hospital Patient Portal Account click here.